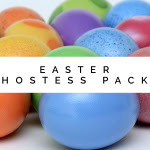 Additions to round out your Easter celebration! Hoping for Asparagus, Fresh Dill, Mini Sweet Peppers, Pineapple, Cauliflower, Red Leaf Lettuce, Russet Potatoes, and Carrots. 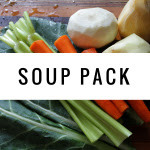 We love soup regardless of the weather! You can use this as the basis for stew as well. The possibilities are endless! Hoping for Fresh Bay Leaves, Fresh Thyme, Fresh Parsley, Fresh Garlic, Celery, Yellow Onions, Carrots, Yukon Potatoes, Roma Tomatoes, and Mushrooms. 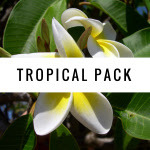 A tropical-themed variety to inspire you and bring sunshine to the middle of winter! Serve up a tropical fruit salad or smoothie for Sunday brunch; make fun and refreshing flavored waters! Hoping for Fresh Mint, Blood Oranges, Pineapple, Ataulfo Mango, Kiwi, Lemon, and Limes. Toss fruit into a pitcher or jar and steep for a bit and enjoy; or throw the fresh fruit(s) in the blender, add water, sugar, and lime juice, pour over ice, and be transported to the tropics! We love the tropical variety for smoothie kits – slice and freeze for quick dump, blend, and run mornings! Fruits and veggies of your choice sliced and frozen on a baking sheet, then put into serving-sized bags. Grab, dump into blender with some liquid (water, fruit juice, milk of choice), blend, pour, and out the door you go! Add protein powder if desired. No added sugars! If you need it sweeter, try adding a drizzle of honey or soaked pitted dates! Grilled, roast, steam, and sautee! A little olive oil and garlic to roast, and finish with red pepper flake is our staple. Mix it up with a spritz of soy sauce or coconut aminos! If there are leftovers (which there never are), asparagus makes a lovely salad topper. Asparagus is one of those things that lets me know spring is on the way. 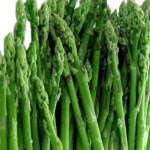 We just can’t get enough of asparagus as we defrost out of winter. Have you tried it pickled? So many amazing ways to eat it. Pan-fry in a bit of olive oil until golden brown and delicious! Our kids will annihilate two heads of cauliflower in one sitting when we prepare it this way. A Sally family secret recipe… now not-so-secret! 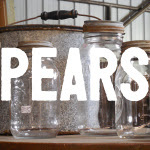 Pears fresh, pears bottled, pear tart, pear crisp, pear pie, pear cake, pear salad, pear relish, pear butter, roasted pears, grilled pears, poached pears! The sky is the limit! It is imperative that you are at your pickup location within your twenty minute window. You must open & quality inspect your Add-On Items before you leave your pickup site. Once you have signed for your items and left, we cannot offer a credit for quality issues. PLEASE NOTE: Participants MUST have their Contribution Confirmations PRINTED or DIGITALLY, in their entirety, when picking up items. Please bring a complete paper or digital copy (e.g., via smart phone, tablet, camera) of your Contribution Confirmation to your site each time you participate. Remember! It takes everyone for Bountiful Baskets to be great! Pitch in how you can, when you can! - Spread the word to folks who would be blessed by Bountiful Baskets! 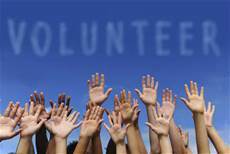 - Arrive at your site at the volunteer time to help! - Stay late and offer to help clean up!